Yesterday we watched Blood in the Mobile. A documentary about the mining of minerals like coltan and cassiterite from mines controlled by arms group in the Congo. We had a large class discussion about action we can take when an issue happens and we want change. It is us as consumers buying products, large companies purchasing from companies that in turn purchase raw materials from arms groups in the Congo. Our consumerism is funding civil conflict and destruction. 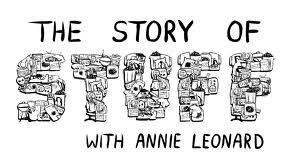 We watched the Story of Electronics (from the creators of Story of Stuff) and then we talked about action we can take. I showed them the Phone Apes program from the Toronto Zoo that recycles the minerals in the phones so that forests don’t have to be torn down in the Congo. This is a environmental, social, and political problem all combined in one. Science and Technology do not operate in silos but infused in our lives. Earth Day is today but next week our school is celebrating it all week long! Here are some great ideas for your work or school. We want to spread awareness about the environmental concerns and get students to start thinking green and making decisions that are better for the Earth. Why not try some of these ideas in your school or company to help keep things green! Batteries for Baked Goods – will allow students to trade in dead batteries for baked desserts and treats. 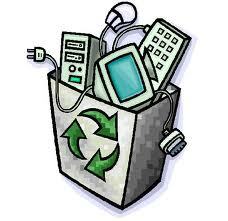 Having batteries go into a landfill will result in heavy metals leaking into the soil and water. You can bring batteries to many stores like Ikea and Staples for recycling. 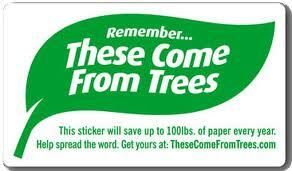 Eco-Pads – beside the photocopiers we keep a good on one side paper bin. If someone copies something wrong or only wants single sided copying they can use the paper from this bin. We have had a large collection of this paper so started to create notepads from this to recycle. 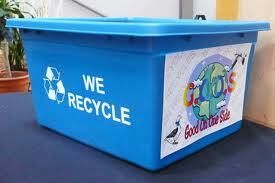 Try putting out a bin by your copiers at work to promote similar initiative. Toxic Taxi E-Waste Pick Up – With technology always becoming out-dated the moment you bring it home, we have such a high turn over of electronic waste. Computer monitors, computers, printers, fax machines, TVs, all pile up in landfills leaking harmful chemicals into the ground. See Toxic Taxi http://www.toronto.ca/garbage/hhw.htm#a002a for info. HotDocs and H2Oil Screening – We applied to host a HotDocs screening and will be showing H2Oil, a great documentary about the Oil (Tar) Sands in Alberta. It is important to see the damage created in Alberta from our addiction to oil and its by-products. 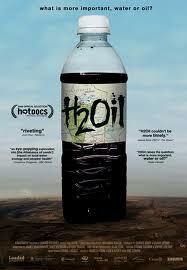 See http://h2oildoc.com/home/ for more information and trailers.